The mechanical power and rotational speed of electric motors have significantly uncertainties arising from energy variations such as the magnetic energy, the flux linkage variation of the winding, and the air gap due to the rotor position. The main aim of this work is to address the effect of the uncertain output power and rotational speed of an electric motor on mechanical structural analysis, especially on the torsional analysis, and accordingly to model the statistical characteristics of variations in torque of the motors in consideration of different powers and speeds for further efficient and reliable mechanical structural analysis under uncertainty. To perform these tasks, a case study that is the torsional loading of a shaft by an electric motor and generator, is carried out. The results show that the uncertainty of power and speed in electric motors considerably affects the probability of failure of the shaft in case of exceeding the maximum shear stress, and increasing the speed at a given power does not significantly change the COV value of the torque whereas increasing the power at a given speed can relatively change the COV value of the torque. The obtained average of the COV values (0.0023) of torque with normal distribution is fairly sufficient for indicating the variations in the torque of electric motors. Moreover, the obtained torque uncertainty can be easily and efficiently used in the mechanical structural analysis under both deterministic and stochastic cases. Farhani, F., Zaafouri, A. and Chaari, A., 2017, "Real time induction motor efficiency optimization", Journal of the Franklin Institute, 354(8): 3289-3304. Verucchi, C., Ruschetti, C., Giraldo, E., Bossio, G. and Bossio, J., 2017, "Efficiency optimization in small induction motors using magnetic slot wedges", Electric Power Systems Research, 152: 1-8. Hannan, M.A., Ali, J.A., Mohamed, A. and Hussain, A., 2018, "Optimization techniques to enhance the performance of induction motor drives: A review", Renewable and Sustainable Energy Reviews, 81: 1611-1626. Çelik, M., Örs, İ., Bayindirli, C. and Demiralp, M., 2017, "Experimental investigation of impact of addition of bioethanol in different biodiesels, on performance, combustion and emission characteristics", Journal of Mechanical Science and Technology, 31(11): 5581-5592. Kim, S.-H., "Chapter 4 - Modeling of alternating current motors and reference frame theory", in Electric Motor Control. 2017, Elsevier. p. 153-202. Yu, J., Zhang, T. and Qian, J., "5 - Measurement errors and uncertainties", in Electrical Motor Products. 2011, Woodhead Publishing. p. 81-172. Marino, R., Tomei, P. and Verrelli, C.M., 2008, "An adaptive tracking control from current measurements for induction motors with uncertain load torque and rotor resistance", Automatica, 44(10): 2593-2599. Lu, B., Cao, W. and Habetler, T.G. "Error Analysis of Motor-Efficiency Estimation and Measurement", in 2007 IEEE Power Electronics Specialists Conference. 2007. Aarniovuori, L., Kolehmainen, J., Kosonen, A., Niemelä, M. and Pyrhönen, J. "Uncertainty in motor efficiency measurements", in 2014 International Conference on Electrical Machines (ICEM). 2014. 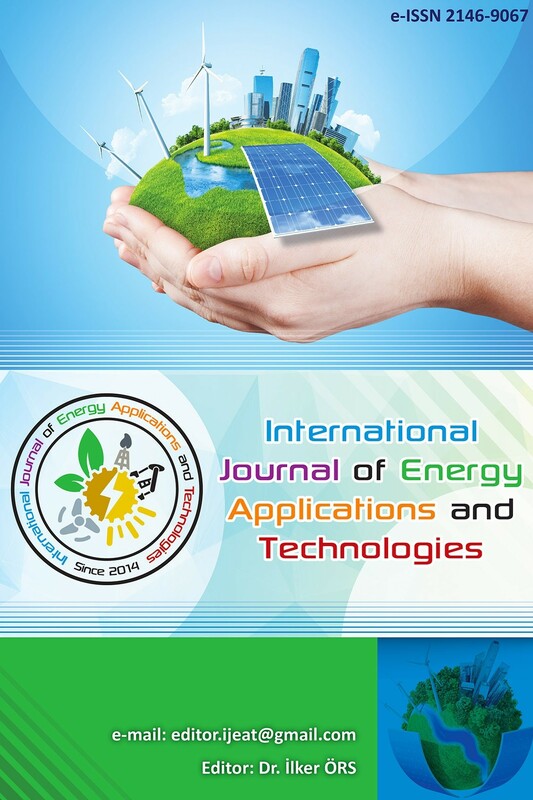 Li, F., Zhang, Y., Li, J., Yang, X., Li, T. and Shang, W. "Application of Measurement Uncertainty for Electric Motor Efficiency Evaluation", in International Forum on Energy, Environment Science and Materials. 2015. Choi, S.-K., Grandhi, R.V. and Canfield, R.A., 2007, "Reliability-based Structural Design: Springer-Verlag London. Mayda, M., 2017, "An Efficient Simulation-Based Search Method for Reliability-Based Robust Design Optimization of Mechanical Components", MECHANIKA, 23(05): 696-702. Mayda, M. and Choi, S.-K., 2017, "A reliability-based design framework for early stages of design process", Journal of the Brazilian Society of Mechanical Sciences and Engineering, 39(6): 2105-2120.